Gene editing is the introduction of nucleic material into a host, to correct a genetic issue and treat a particular disease. It is not actually something new, having first been attempted in 1980 by Martine Cline. Since then, there have been over 2,000 clinical trials, most just at phase I to show there is potential. 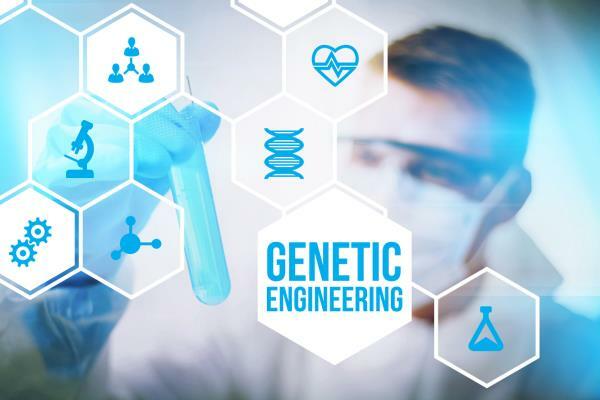 This area of science is also called gene therapy, or genetic engineering. Waseem Qasim has a group specialising in this in London at the Institute of Child Health, UCL (in Association with Great Ormond Street). Their focus is manipulating the DNA of human cells in the lab, and then replacing it in the host to replace or correct a DNA issue. Gene editing can be used in a variety of diseases from rare inherited disorders in childhood, to infections and even cancer. In healthy people the immune system has T-cells which are tailored to the invading cells and come out en masse to attack and kill them. In cancer and some other illnesses either the T-cells don’t recognise the rogue cells and/or they don’t attack. So the gene controlling them, in effect, doesn’t work. Gene editing has already been used in this case. DNA from the host cells is ‘cut’ and reduced down to the genes that are relevant. Adding back into the host a gene that controls a receptor on the host T-cell can re-awaken the T-cells so now they do attack the cancer. A very practical application of gene editing came in 2014, when a girl who was less than one year old was diagnosed with lymphoblastic leukaemia. The oncologists gave her chemotherapy and then a bone marrow transplant. Both failed. But then someone mentioned gene editing and Waseem Qasim, a Professor at University College London. The girl was called Layla. But there was a problem – Layla’s own T-cells were ruined by the chemo she had already been given. So, Qasim, instead of using her T-cells, re-edited a donor’s T-cells removing various sequences including those that would alert Layla’s immune system that this was foreign material. Put simply, gene editing involves cutting away the genes you don’t need from a comparable piece of donor DNA. The treatment had never previously been used outside the laboratory and so, to a degree, Layla was a guinea pig. But the parents wanted this treatment. Layla, had the treatment in 2015 with just 10 minutes on an intravenous drip. The cancer now seems to have gone. A second girl was then treated. She was 15 months old, and again there is full recovery. Ultimately, this treatment could be used well beyond paediatrics, adding genes were failures or losses have occurred in cancer and other diseases. Although some people are referring to the infusion of edited genes as ‘using a drug’, this really is incorrect. This is an alternative cancer treatment that has the potential to be enormous. It is tailored to the individual, and does not involve harmful drugs or radiotherapy. The scientific advancements in the lab, really are now being put into practice.